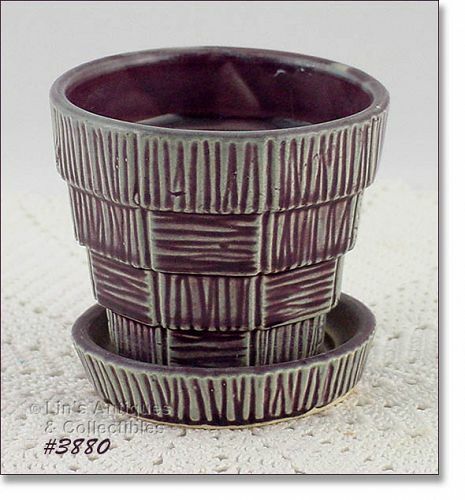 This listing has a very pretty vintage McCoy Pottery basket weave flowerpot! This is the difficult to find purple (wine) color and is the smaller 3 1/8” size (3 ¼” diameter). Bottom is marked McCoy, USA. Flowerpot is in super condition. It has a teeny (1/16”) flea bite/ding on lip edge – that’s it!